A note from Louise: In this latest guest Spotlight, I'm delighted to welcome my colleague Mary McCauley, who shares some super new-business-building tips through the lens of objective-setting. I strongly believe that solid business planning is the key to success with any start-up business and Mary's insights demonstrate how forward thinking and a strategic approach really do generate results. ​Mary is an outstanding example of an editorial freelancer who did her research and then applied what she'd learned carefully and methodically. She's now in a position to share her knowledge, thereby helping newer entrants to the business navigate what can seem to be a rather daunting field in the early days. I'm sure other readers will join me in congratulating her on moving from newbie to mentor in less than a year. For the past 15 years I have worked in research and business administration. The catalyst for my career change to freelance proofreading was my experience as a co-author and co-editor of our local parish history (published as a community fundraising project). Setting up a business of any kind can be a little overwhelming so, using my project management experience, I found the best way to approach it was to take things one step at a time, i.e. to set myself business objectives. I broke these objectives down into individual tasks and gave them time frames for completion. Some objectives were met (by necessity) from the start, others were ongoing and fitted in around my client work, and some will continue to feature – in various forms – in future years’ objectives. I love to-do lists and as I come to the end of 2012 it is deeply satisfying to reflect on the objectives I have achieved to date. 1. Obtain an industry-recognised qualification in proofreading: For someone outside of the publishing industry in Ireland, this was a daunting first step. I knew that it was important to gain a recognized professional qualification, not only in order for potential clients to take me seriously but also for my own knowledge and confidence. I wanted to ensure that I was investing my training budget wisely. There were numerous proofreading courses on offer: a key decision was to choose the right one for me. I contacted the Irish Association of Freelance Editors, Proofreaders & Indexers (AFEPI). They advised that Publishing Ireland (the Irish Book Publishers’ Association) recognize the courses run by the Publishing Training Centre in London. Their Basic Proofreading by Distance Learning course was invaluable and very challenging; successfully completing it has given me the confidence to pursue a career in freelance proofreading. 2. Register a business name: In Ireland, if you operate a business under any name other than your own true name, you must register it with the Companies Registration Office (CRO), so this objective was next on my list. It was a relatively easy process with only a small fee involved. If for some reason you are not happy with the name you register then you can always change it later (for another small fee!). Once I received my Certificate of Registration it all became very real. Under this objective, I also made contact with the Office of the Revenue Commissioners (Ireland) regarding my tax and VAT status. 3. Set up an office space and office systems: My business background came to the fore for this objective. Whilst it involved the more tedious side of freelancing, it was vital in terms of sending out a clear message, both to myself and my nearest and dearest, that I was taking my business seriously. So I set up a home office space; prepared account spreadsheets to track my income and expenditure; created client spreadsheets to track my client work; determined my charges; designed quotations, invoices, receipts and statements; drafted my terms and conditions; and established a back-up procedure for my files. For security reasons, I did not want to use our personal computer so I invested in a new laptop with Microsoft Office software; over the past few months I have built up my suite of editing tools. The Proofreader’s Parlour has been a huge help with this objective. For example, I now use PDF-XChange for my PDF files, which is an excellent package, and Louise’s PDF proofreading stamps have been a fantastic addition. Her Link of the Week feature has pointed the way towards many excellent editing resources and software. One of the pleasures of setting up my office has been the creation of my reference library. Good reference books have been essential tools for my work to date and they were a key component of my set-up costs. So, one of the first ways I went about spreading the word was to set up a public business Facebook page, link to it from my personal page and invite all my friends to ‘Like’ it. It was quick, free and very easy to set up, and it was a great starting point for building an online presence. It has allowed me, using my business name, to publicize my services and to interact with other business pages such as publishers, local libraries and local businesses. 5. Obtain business cards and posters: This was a somewhat time-consuming but a relatively easy and cost-effective objective to achieve as I designed my own business cards and posters using an online service. I then personally delivered them to all my local libraries to let the library staff know about my services and my involvement with the local history book (of which the county library had purchased several copies). One simple library visit and chat led to a librarian referring a local author to me – one who subsequently contracted my services. I also displayed posters in local and national colleges and universities. I always carry some business cards with me – you never know when you will need them. Tip – do not print too many business cards to begin with as your details may change. For example, I did not have a website address when I ordered my first batch of cards. Subsequent batches will list this information. 6. Start networking online: Working from home in rural Ireland, with no previous in-house experience or existing contacts within the publishing industry, was initially quite isolating. The Publishing Training Centre, SfEP and Proofreader’s Parlour websites were a great resource in the early days and I spent my spare time reading their articles and blogs. This interaction helped to keep me going during the difficult early days and to feel a part of the freelance community. My most fruitful online networking to date has been on LinkedIn. I joined shortly after registering my business name and connected with friends and past colleagues. Almost immediately, a former colleague contacted me seeking my proofreading services for her online business. She had learned of my services solely through LinkedIn and has been a regular client ever since. 7. Start networking locally: Whilst I had little publishing-industry experience, my 15 years’ administrative and research work involved a lot of business writing, editing and proofreading. The contacts I made from my previous jobs have been of great benefit when seeking commercial proofreading work. The first network I joined was my local Wexford County Enterprise Board network and subsequently the Women in Business Network. I recently attended one of their local business conferences and found it thoroughly inspiring. More productively, I met the managing editor of a local independent publisher for the first time and this led to a subsequent longer and informative meeting. Slowly, but surely, I am starting to network with other local editorial professionals. I have yet to discover an equivalent of the SfEP local group network in the Republic of Ireland and the opportunity to meet fellow Irish freelancers has been limited so far (one for my 2013 objectives list!). Earlier this year, I declined a substantive-editing project that I felt was outside the remit of my experience; it would have been nice to have known a trusted local colleague to whom I could have referred the author. 8. Start contacting publishers: I have been extremely lucky in that I have had a steady stream of work since I established my business. Most of this work has come from – or through – previous contacts. I have successfully contacted some small independent publishers and secured some work in this manner, with hopefully more work to come in 2013. 9. Join professional bodies: One of my primary aims was to establish and run my business in the most professional manner possible and for me this included becoming a member of the relevant professional bodies. Early on, I became an Associate of the SfEP. More recently, I joined their Associates Available list and, though I am an Ireland-based proofreader, I remain hopeful that I will source some work via the list. 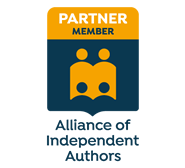 I recently became a full Member of the Irish AFEPI (Association of Freelance Editors, Proofreaders & Indexers). This involved completing an application form detailing the past five projects I had worked on, and the checking of my client references. It took time and effort to complete but it was very worthwhile and the interaction with my Irish colleagues was a pleasant bonus. 10. Design and publish my own website: The achievement of this objective has been one of the highlights of my first year in formal business. My budget did not stretch to having one designed professionally, yet all the advice indicated the importance of having a website. Thanks, once again, to some excellent advice on the Proofreader’s Parlour, I decided to design the website myself using Weebly. It was so much easier than I had expected – building the site was nothing compared to having to write the content! Overall, it was a great learning experience. Tip – proofreaders need proofreaders, too. Have someone else proofread your content before you publish it. 11. Do not give up! In June, I handed in my notice at my regularly paid "day job" to concentrate fully on proofreading. I have never once regretted that decision though, like all freelancers, I have had periods of no paid work. In the early days, I had a couple of very promising leads for proofreading work that never came to fruition and this really tested my resolve and self-belief. I used these quiet periods to concentrate on the mechanics of my business, e.g. building my website, networking and reading industry-related material on all aspects of proofreading and freelancing – things not covered in a training-course manual. It is a great privilege in life to work at what you love and I absolutely love what I do. It is the sheer thrill of working with words that drives me to keep going and not give up. One of the most heartening experiences of changing careers has been the support from established freelance proofreaders (the competition – or "frenemies"). I am still amazed at the kindness and help I have received from Louise and others. This goodwill has sustained me and helped me to keep going despite the challenges and knock-backs of the early stages. 12. Accept invitation to write a guest blog: As I may have mentioned (! ), I have found the information and advice contained in Louise’s Proofreader’s Parlour to be invaluable during this past year of establishing my business. It was an honour when she invited me to write a guest blog for the Parlour and it is with great pleasure that I now put a tick against my final Business Objective of 2012! Here’s hoping that 2013 will be a successful year for all of us lucky enough to be working as editorial freelancers. About Mary McCauley: Mary is a professional freelance proofreader and editor living in Co Wexford in the southeast of Ireland. Having graduated with an Honours Degree in Marketing she spent many years working for public bodies such as Aer Rianta at Dublin Airport and Wexford County Council. Her voluntary role as co-editor and co-author of the local parish history Oylegate-Glenbrien: A Look Back in Time inspired her career change and she hasn't looked back since. Contact Mary through her website Mary McCauley Proofreading or via LinkedIn or Facebook (joining Twitter did not make it into her 2012 objectives). A note from Louise: If you are thinking about setting up your own proofreading or editing business, you might like to read my guide for new starters. I was so impressed with Mary's approach to setting up her business that I invited her to be a start-up case study in the book. Additionally, you'll learn about why a business plan is necessary; the different aspects of editorial freelancing; training; client focus; getting experience; financial assessment; promotion; networking; and tools for the job. More details here. Very interesting, especially as it in many ways mirrors my own progress in changing career and setting up as a copy-editor and proofreader. Right from the start, I set myself short-term and long-term goals to achieve and have progressed, step by step, until I have completed them and moved onwards. There are always hiccups and problems to be overcome but that's part of the journey. I've also found that networking with other members of SfEP local groups has been invaluable in my professional development. I don't think I've ever met a more helpful group of people. Without their help it would have been so much more difficult. So I'd echo Mary's sentiments above and the methods she prescribed. They are very effective and, even better, they work. I live in Northern Ireland and co-ordinate the NI SfEP group. I'm also a full member of AFEPI and am currently project managing a revamp of its website. You should come along to the AGM in Dublin next year - it's a great opportunity to meet fellow Irish freelancers. There are also many SfEP members in RoI although they do seem to be quite scattered. But I have been able to meet a few who come to Belfast for SfEP training courses. In April 2013, On-screen editing 1 will be hosted at Queen's University - you'd be very welcome to come along. Thanks for that! I would love to go to the AFEPI AGM – my interactions with the AFEPI have been very helpful experiences. I hadn't realised that SfEP courses were available in Belfast – I will definitely follow up on that. Thanks for letting me know! Looking forward to meeting you too. Great to get first hand experience on the perspective of an entrepreneur setting up her business - we need more case studies like this. Well done! I appreciate the help I've received from the Wexford County Enterprise Board. Keep up the good work! This fantastic website never ceases to be invaluable to me! I've just started out as a freelance proofreader and I am now in the process of assembling my business. Thankfully, I've already followed most of the points on this checklist. The most cogent point, however, was the business cards - I made precisely the same mistake of ordering too many. But that is how we learn - by doing! I'm very keen to become more active within the proofreading community. As an associate of the SfEP I'm still yet to explore this further. Would you have any advice? Louise's site is great, isn't it! If you have a Facebook account you could join The Unofficial SfEP Facebook group, the Editors' Association of Earth (EAE) group and the EAE Backroom group. Lots of friendly, helpful and fun editorial folk hang out in these groups and you could help others posting queries in these groups. You could also become more active by joining in on the conversations on the SfEP forums, and you could join your local SfEP group. Hope this helps and best of luck with your proofreading career!